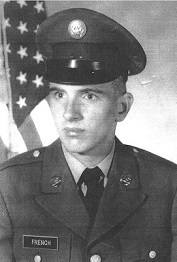 Terry joined the United States Army on February 25, 1971 and was sent overseas during Vietnam returning back home in 1973, to serve in the 224th Engineers Battalion until he was released from active duty in 1975. Terry worked as the assistant sexton at Forest Home Cemetery in Mt. Pleasant for 14 years, XLM of Mt. Pleasant for 3 years and for Tomson Services of Hillsboro for 15 years until his health failed. Cremation has been entrusted to Murphy Funeral Home of Mt. Pleasant. Terry’s family will receive friends on Friday, December 7, 2018 from 5 to 7 p.m. at the Murphy Funeral Home in Mt. Pleasant. Interment will be held at a later date. A memorial has been established in his memory and may be sent to Cindy French.